Do you struggle with depression, doubt, negativity and anxiety? Has passion cooled to apathy, cynicism and exhaustion? Does your bulging waistline condemn you when you look in the mirror? Perhaps your cholesterol is also up, immunity down, digestion is in question and you have fluid-filled bags under your eyes. Your thinking is fuzzy, memory patchy and you’re often cold. You may already have at least one autoimmune disorder. It’s when these happen simultaneously that you can feel overwhelmed; maybe even wonder if you are emotionally losing it, or are under a spiritual attack. Now we understand Iodine’s role in the production of thyroid hormone, which regulates just about every bodily function. It’s literally the engine that drives your body. The World Health Organization (WHO) estimates over 2 billion people may be iodine deficient worldwide – a crisis especially for children who suffer brain damage without it. Even with iodized salt, iodine deficiency/thyroid disorders are on the rise in North America. Why are we iodine deficient? Soil quality: Iodine is only found in foods grown in iodine rich soil – which becomes depleted over time. Imposters: The receptor sites for iodine can be blocked by look-alike molecules from the same chemical group: fluoride, chlorine, and bromide, found in toothpaste, water, soft drinks, pesticides and bread. The body then has difficulty absorbing what little dietary iodine it can find, and it attacks these imposters, resulting in autoimmune disorders. Salt: Many people have cut back on salt or switched to sea salt for health reasons. Gourmet and sea salts have little to no iodine.. Diet: Too much junk/processed food – salty but not iodized. Selenium deficiency: Selenium is also required for healthy thyroid function. Its presence in food depends on soil levels – and selenium is often lost with cooking and processing. So eat your (sea) vegetables! 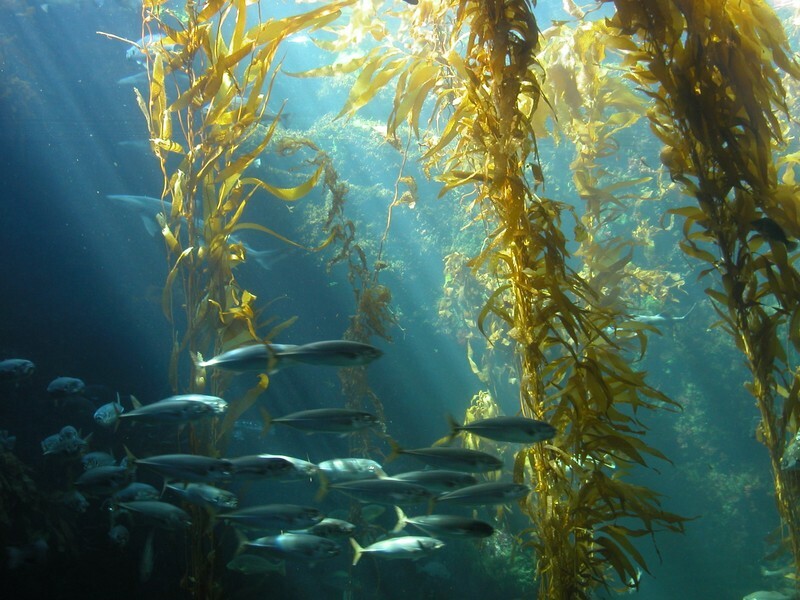 Kelp is a sea vegetable that drifts about in the ocean and absorbs iodine. A stick of dried kelp can be cooked with rice, soup & oatmeal. It softens legumes such as beans and lentils. You can throw it out when the food is cooked or, as the Japanese do, when the water comes to a boil. Thanks to Miso soup, kelp and other seafoods, the Japanese typically ingest at least 50 times as much iodine as the average North American. They also have lower rates of thyroid disorders and most cancers. Iodine is stored in the prostate, brain, ovaries, thyroid and breasts – the locations of some of our most common cancers. Think there might be a connection? Become informed. Google the link between iodine and your current health concern, including diabetes. Look for agreement between a wide variety of articles and studies. Check out our other health and energy posts. Eat more fresh, whole foods. Learn to cook with Kelp (also known as Kombu). Find a health practitioner who understands iodine supplementation and your unique health needs. You can buy Kelp tablets or topical Iodine (dissolved in glycerin) at your local health food store. If you decide to supplement, you’ll probably need to do so in bursts. Pulse supplementation drives the imposters (fluoride, bromide, chlorine and heavy metals) out of your body and gives your kidneys recovery time in between. Don’t forget selenium! Expect some push-back from your family physician – the medical community has long been taught iodized salt is sufficient for thyroid health. When it comes to your health concerns, keep on asking, seeking and knocking – then listen to whatever the Spirit directs you to do. Maybe you can still get the squeal back in your tires. Why burn oil when you could burn rubber? Blog by Verdeen Bueckert, a Registered Nurse and CREST Board member, who herself has recovered from several of these issues. Post your question here, and she will be glad to answer.